Following a huge advance in eastern Aleppo, the Syrian Arab Army (SAA) has officially linked up with the ‘Syrian Democratic Forces’ (SDF) and a region dubbed Rojava by Kurdish politicians vying for an independent Kurdistan in northern Syria. Effectively, Kurdish residents are able to reach the isolated Sheikh Maqsoud district in Aleppo city while family members of SAA troops stationed around Hasakah and Qamishli can visit their relatives for the first time since 2012. With trade flowing between Kurdish-held and Syrian-held areas of the country for the first time ever, the SAA and SDF are also supporting each other militarily on the battlefield in eastern Aleppo due to the aforementioned parties sharing common foes; namely, the Turkish Armed Forces and ISIS. Next up, the SDF and SAA will try to expand their narrow trade route to secure safe passage of goods and supply trucks. Should government forces expel Turkish troops from Al-Bab, this would secure the M4-Highway between Manbij and Aleppo for future trade. Nevertheless, the Syrian Government remains opposed to the concept of Rojava and an independent Kurdish state in northern Syria. An updated map of eastern Aleppo is avaliable here. Erdogollum’s gonna eat his hat. I ‘d like to know how Turk hats taste. Big? 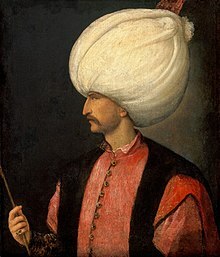 Make it Suleiman the Magnificent’s turban then. Kardeş, if a Turk feed you a hat, it is said that more delicious. Kardeş, Just looking at the pics made my mouth wet. I assume, you went this place. Not as good as in the restaurants near Topkapı. But better than the Sultan’s hat. Yes i did – one of the best in my town. The Sultan of Ankara will not be amused that the SAA allowed the Kurds link their Eastern and Western cantons via government roads. This also undermines his trade embargo that hurt Rojava’s economy. Si. They said so but talk is cheap. GOOD TO KNOW THAT IT WILL BENFIT BOTH SIDE AGAINST TURKEY ANSD US WHABHI/ZIONIST BACK TERRRIOST . BUT KURDS SHOULD NOT ASK FOR INDEPENDECNEC. ONLY MAY BE THEY CAN HAVE TROOPS INCLUDED IN SAA AND POLICE WHICH THEY CAN GUARDS THE CITY BUT BORDER AREA LET SAA AND KURDISH FORCE WORK TOGHTER FOR BETTER FUTURE AND ALSO AGAINST TURKEY AND OTHER TERROR PARTY WNAT TO DESTROY MUSLIM COUNTRY. Opening a Toyota pickup store would be great idea there. You can sell any groups. When some destroyed, they will come back to buy again..
Kardeş, great business idea. The mercenaries seem well paid and need to replace Toyota pickup often. Kardeş, great business idea. The mercenaries seem well paid and need to replace their Toyota pickups often.